Teammates.net is a platform where athletes reconnect with former high school and college teammates and teams. If this is your email, Please login now or click forgot password to get your password. Reconnect with all your former teammates and former teams from high school or college. Everyone shares team related photos, newsclips, rosters, results & more. Tag content with seasons, athletes, venues and more. 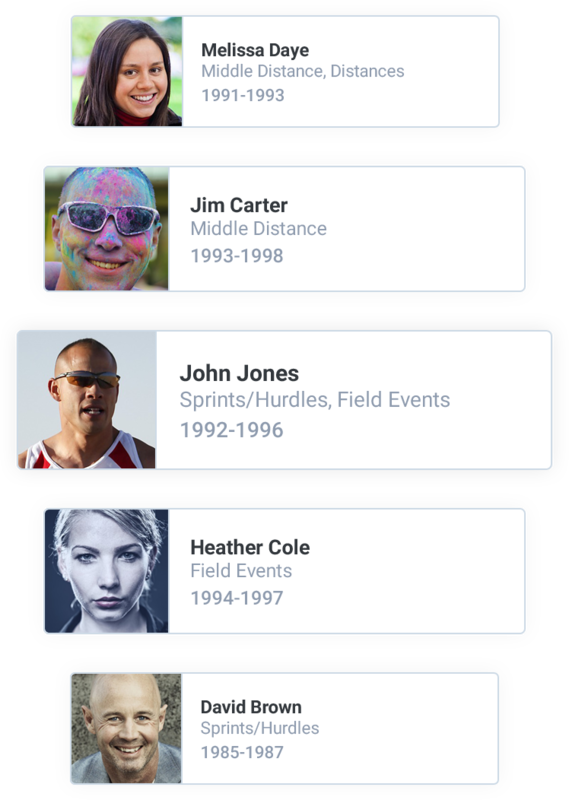 Teammates automatically builds & maintains an interactive archive of your team's history as content is submitted. Schools manage althletic alumni networks with tools for organizing events, communication, fund-raising and more. Connect with teammates who played with you and those who played in different eras. Dynamically change views anytime to see different groups of connections. Check out what your teammates are sharing! 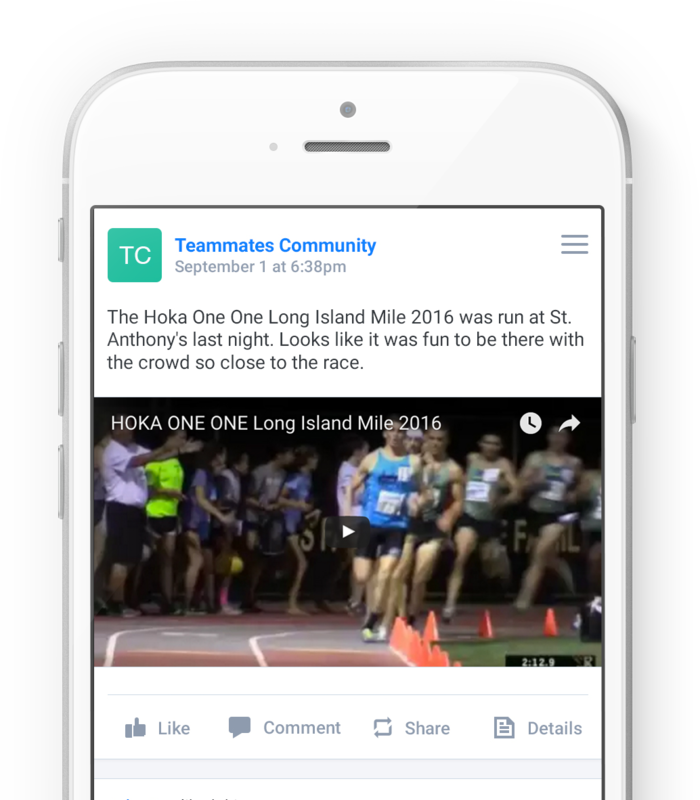 Automatically share content that you post to other social media sites by including #teammates in your posts. 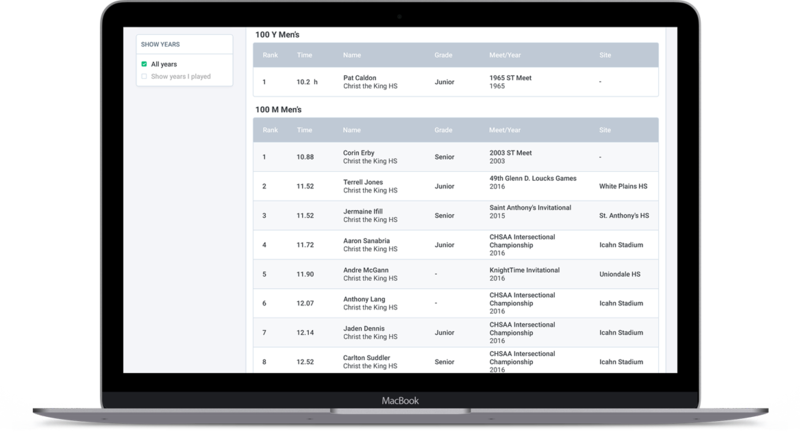 Teammates build Team pages and Schools pages dynamically and you can view them based on any timeframe you want. Engage with old friends in new ways! Teammates.net is not just about sharing old photos or talking about the team. That's a start, but when teammates connect, we remember how powerful and enduring the bonds we built between us are. With the network in place and the communication channels open, teammates engage with each other in more meaningful ways. Get together's and team support are just a start. The world and the economy today are about connections, and Teammates reactivates some of the most powerful bonds we will ever experience. A better way to build an active Athletic Alumni Association for your school! 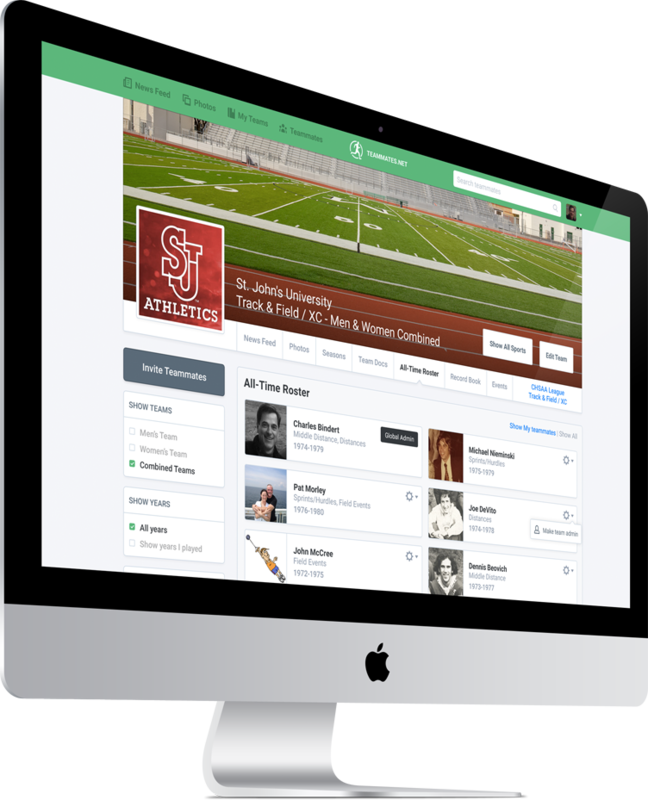 Teammates.net naturally grows and maintains a contact list of athletic alumni as they engage with the content, each other and with the team. Teammates.net can automatically monitor and integrate feeds from your team's existing Twitter and Instagram accounts to keep alumni involved and up to date. Athletic alumni who are active, engaged through Teammates can help the current team with mentorship, internships, and help with first jobs. Because it is a social network, athletic alumni stay engaged with each other and with the school without coaches having to manage every interaction.